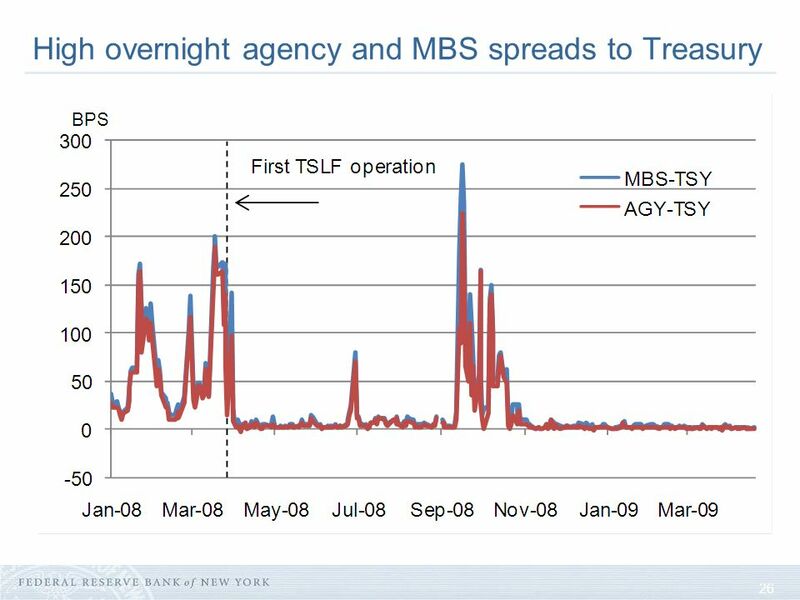 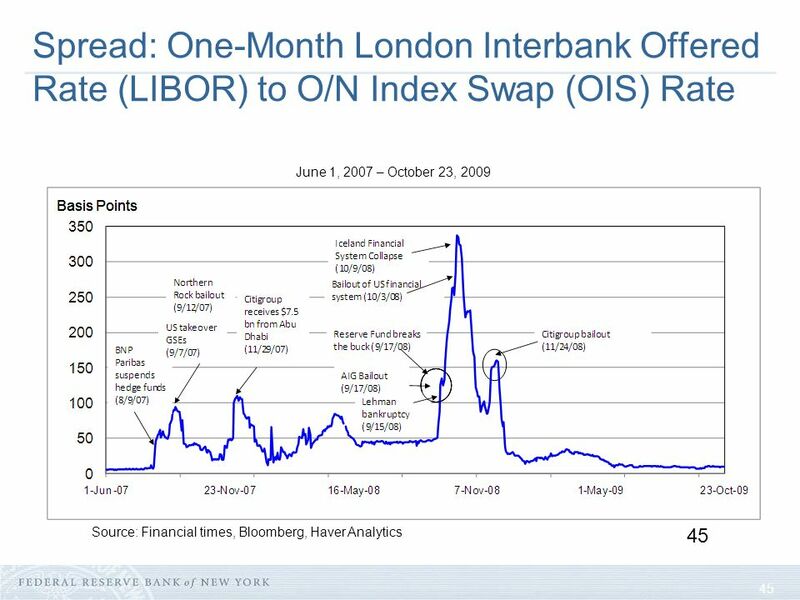 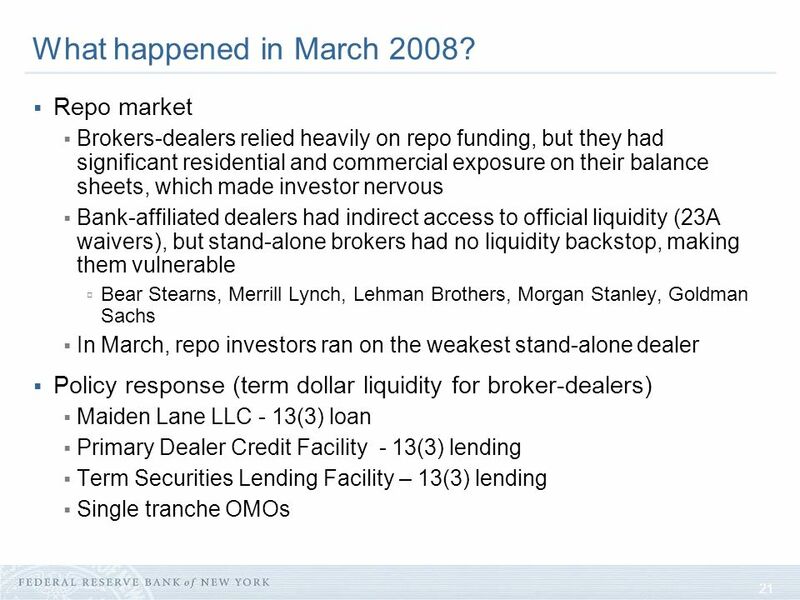 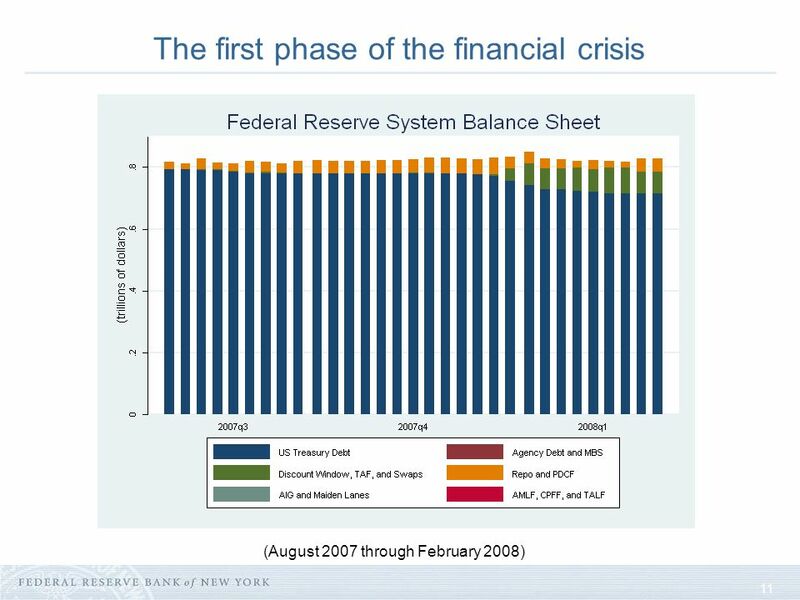 Understanding the Response of the Federal Reserve to the Recent Financial Crisis Sandy Krieger April 14, 2010 This presentation presents preliminary findings. 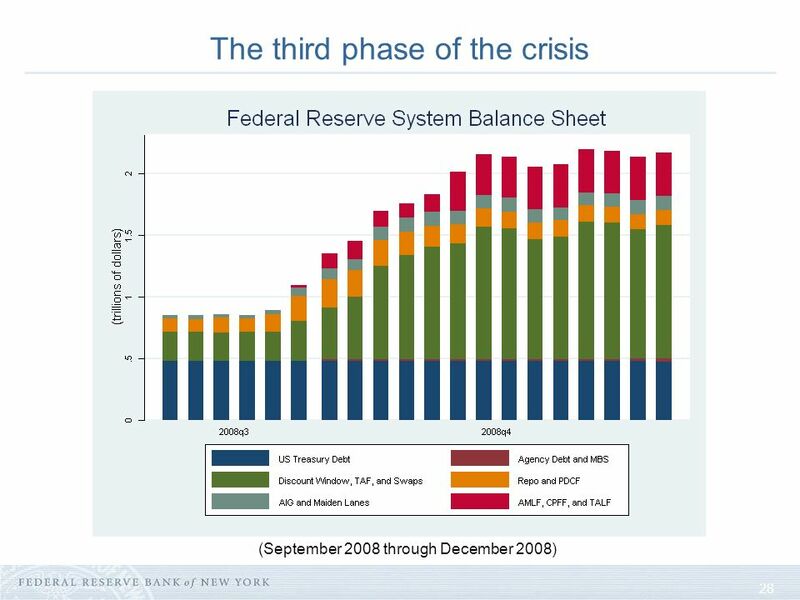 1 Understanding the Response of the Federal Reserve to the Recent Financial Crisis Sandy Krieger April 14, 2010 This presentation presents preliminary findings and is being distributed to stimulate discussion and elicit comments. 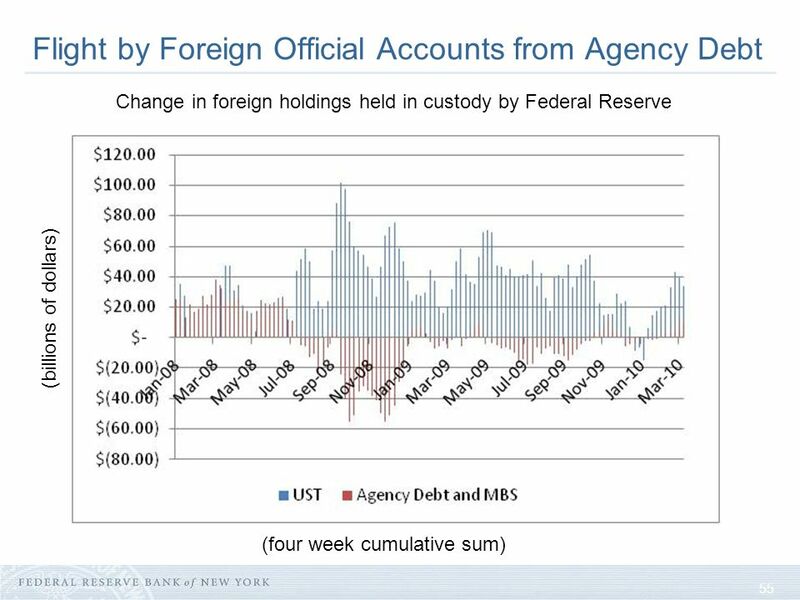 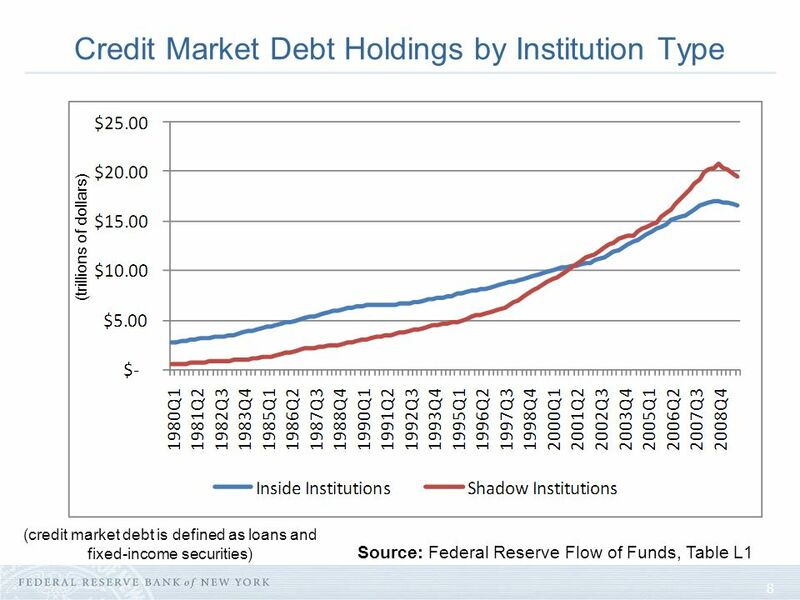 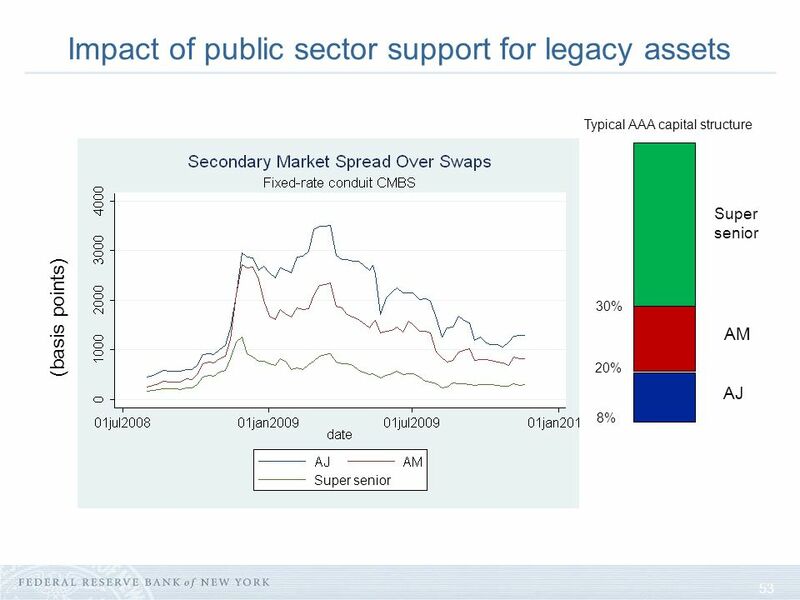 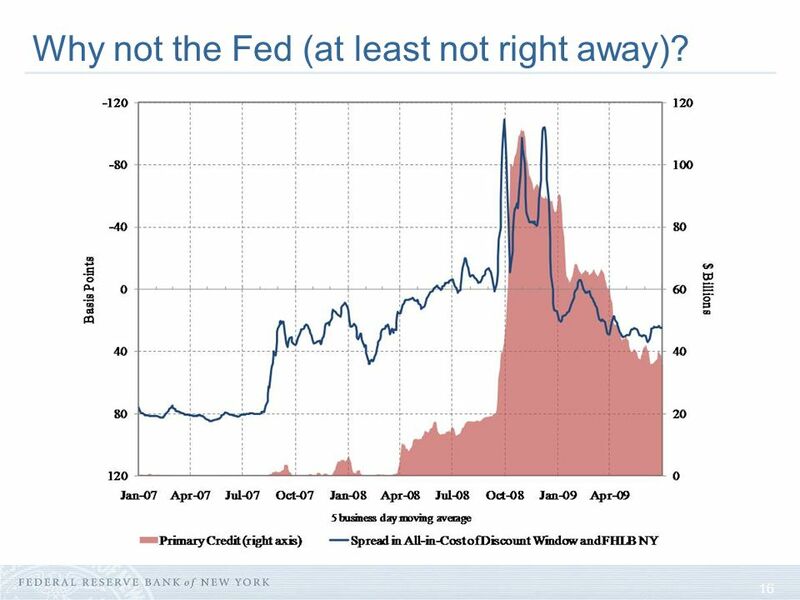 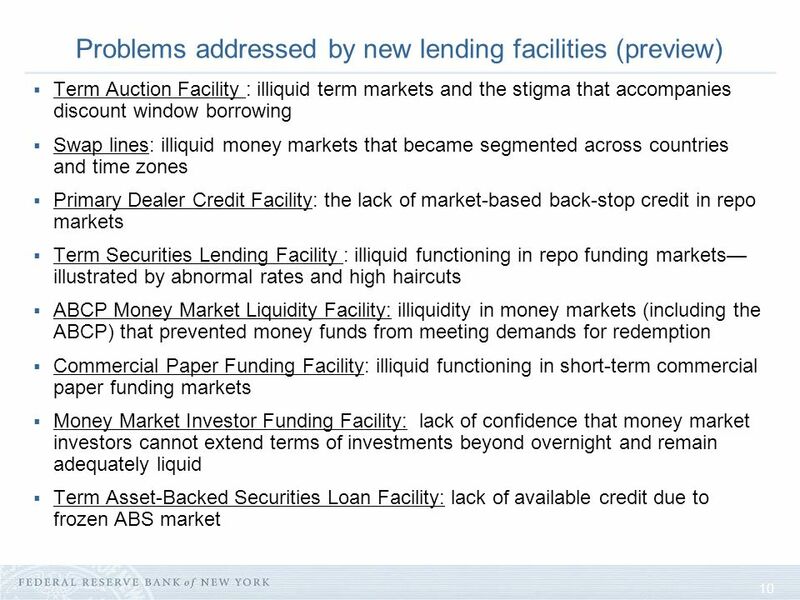 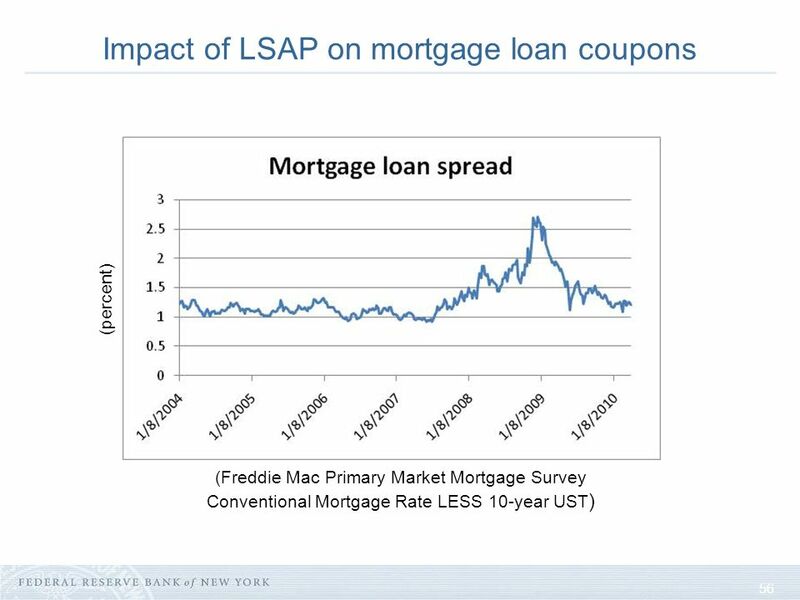 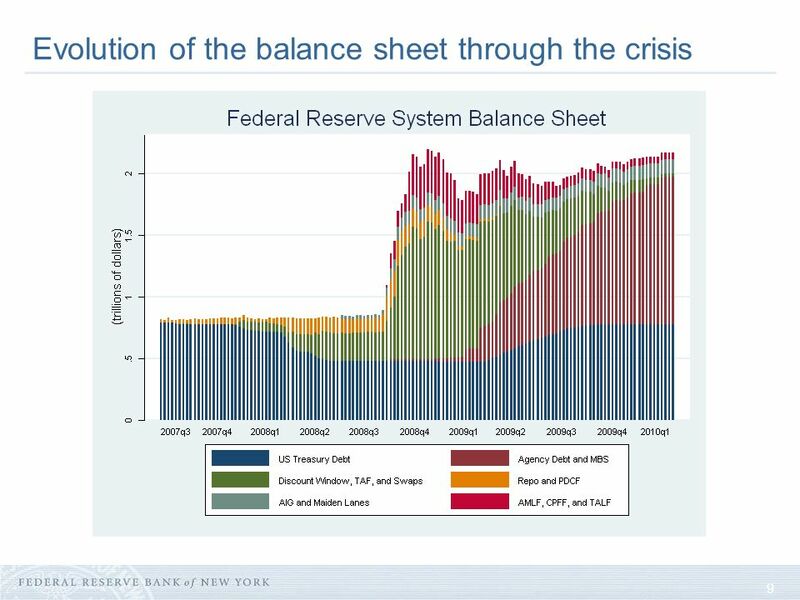 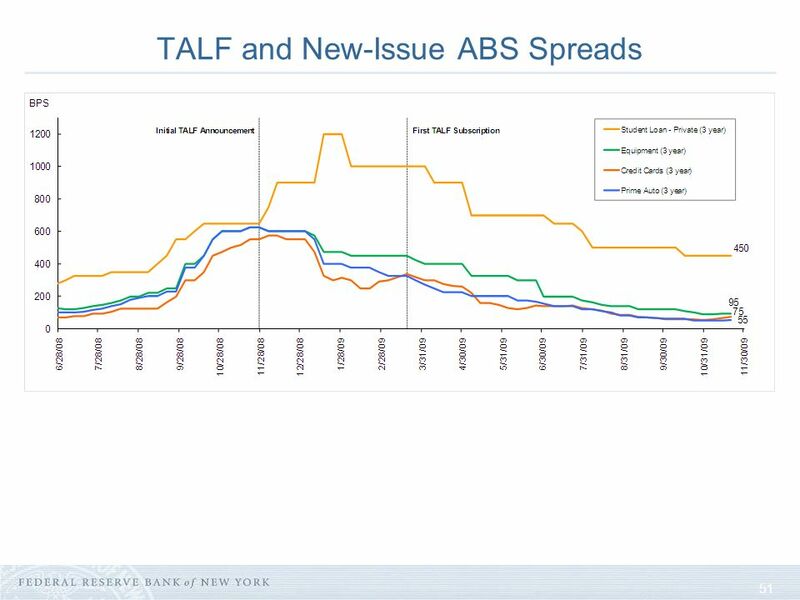 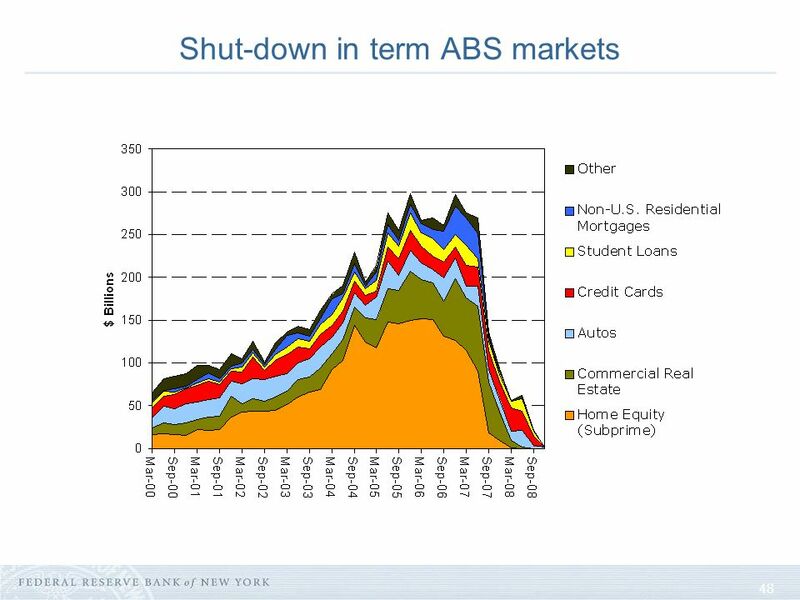 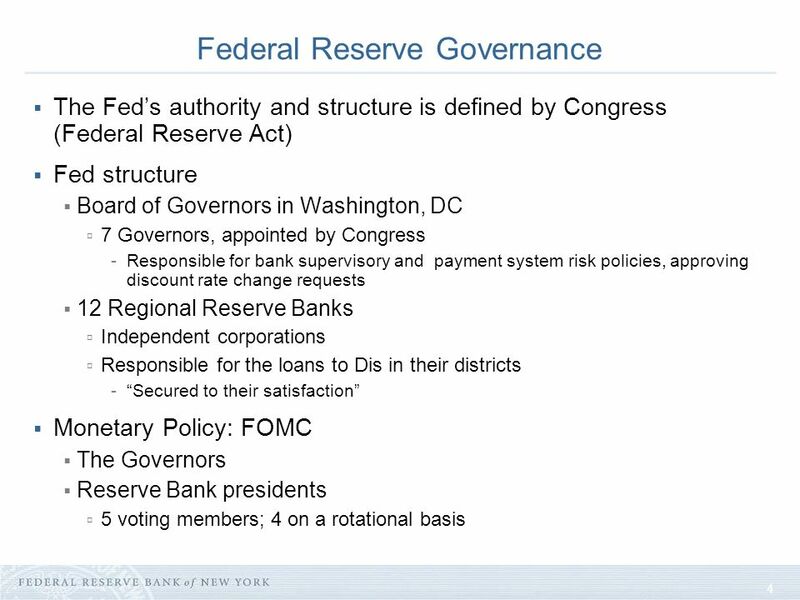 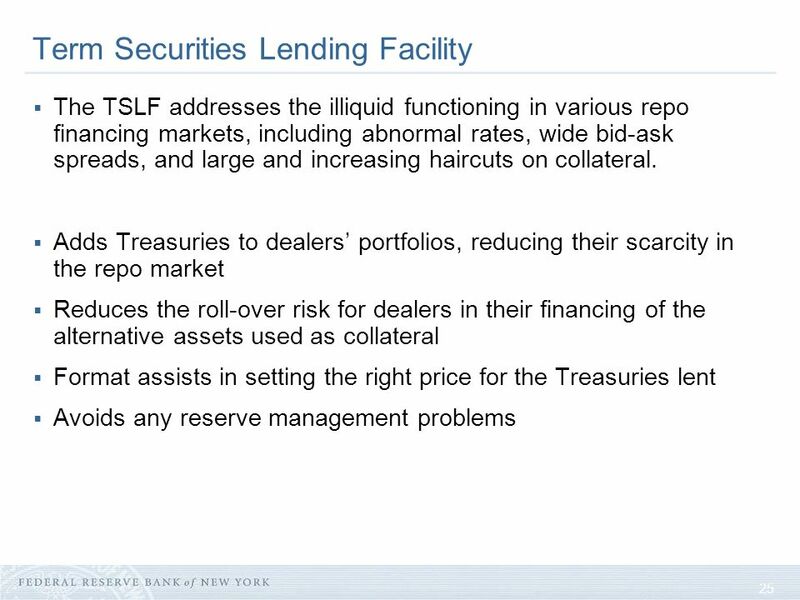 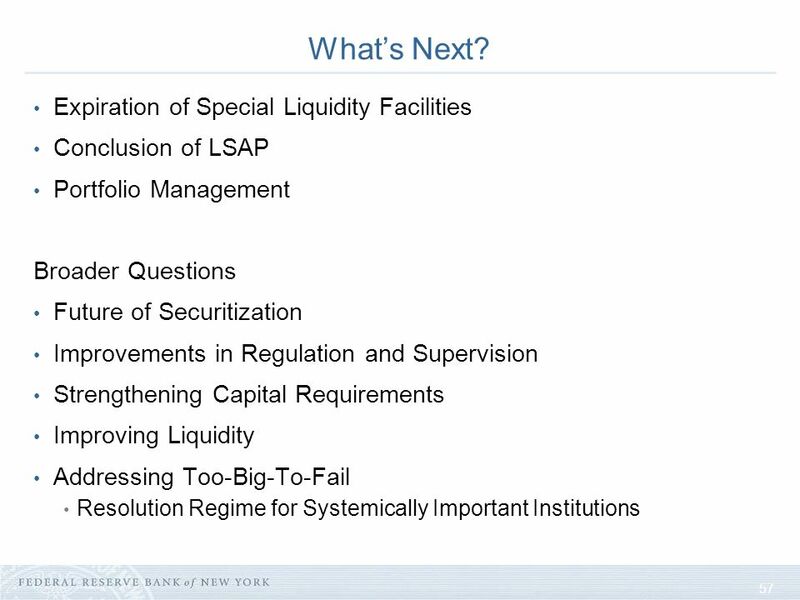 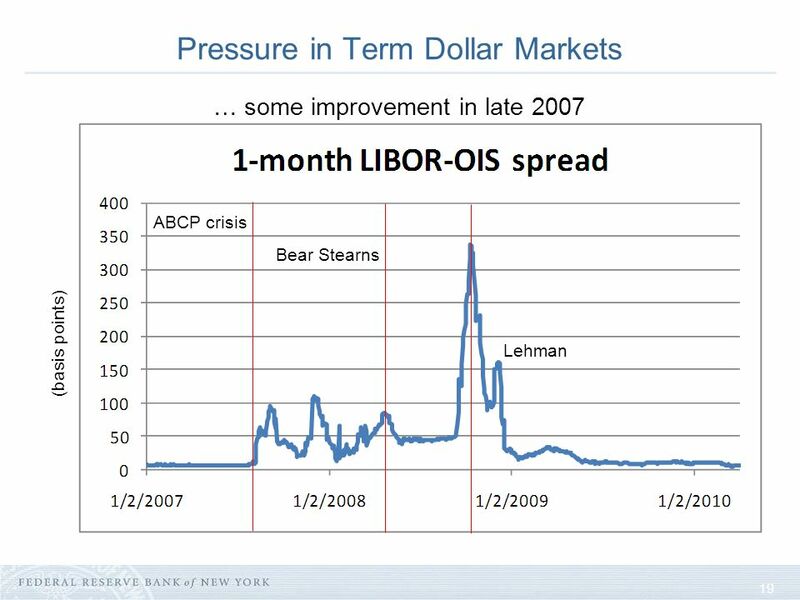 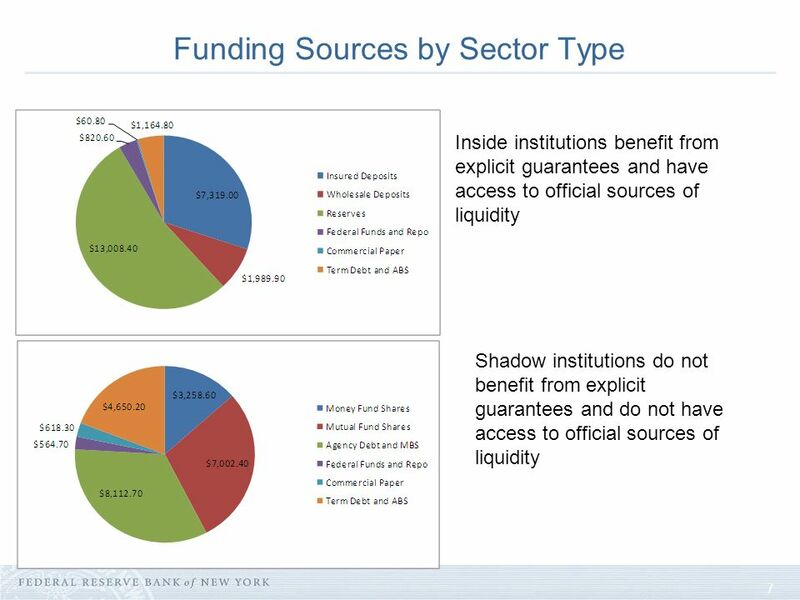 The views expressed in the presentation are those of the author and are not necessarily reflective of views at the Federal Reserve Bank of New York or the Federal Reserve System. 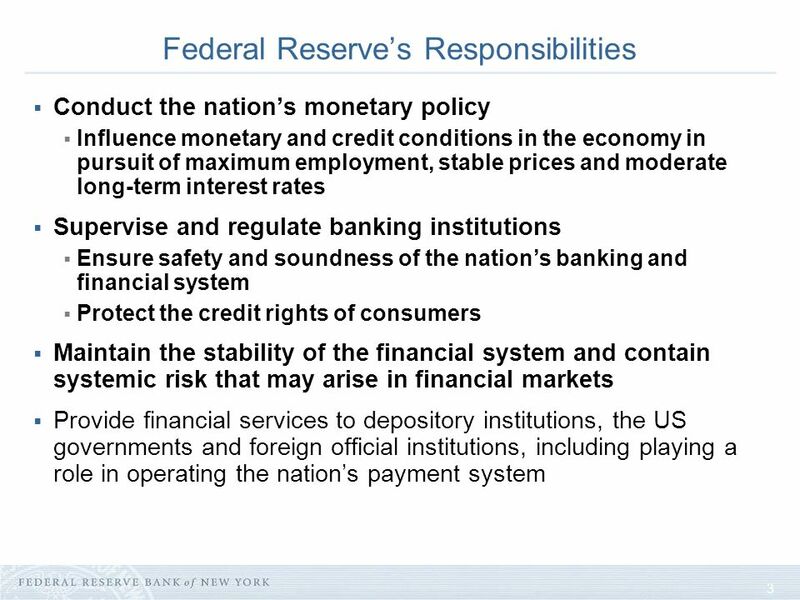 Any errors or omissions are the responsibility of the author. 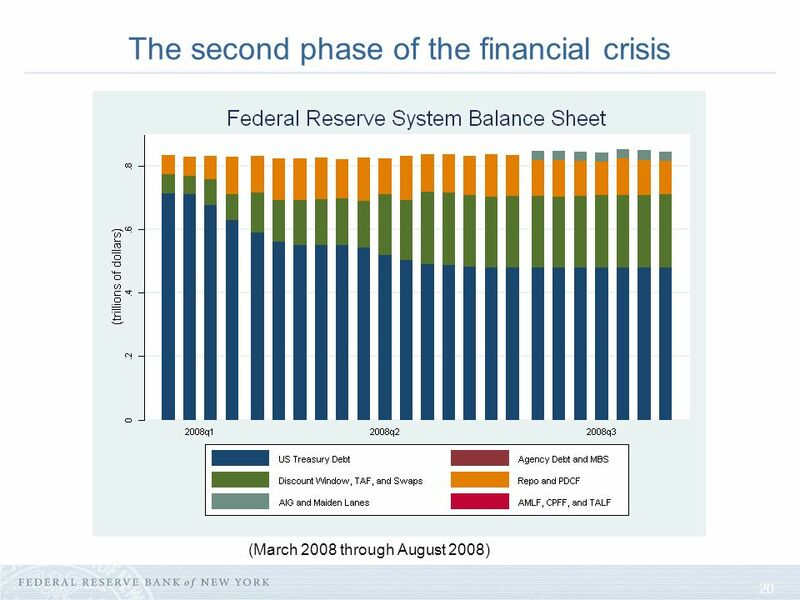 2 2 Motivation All of Feds actions were directed at protecting the American people from a more severe downturn. 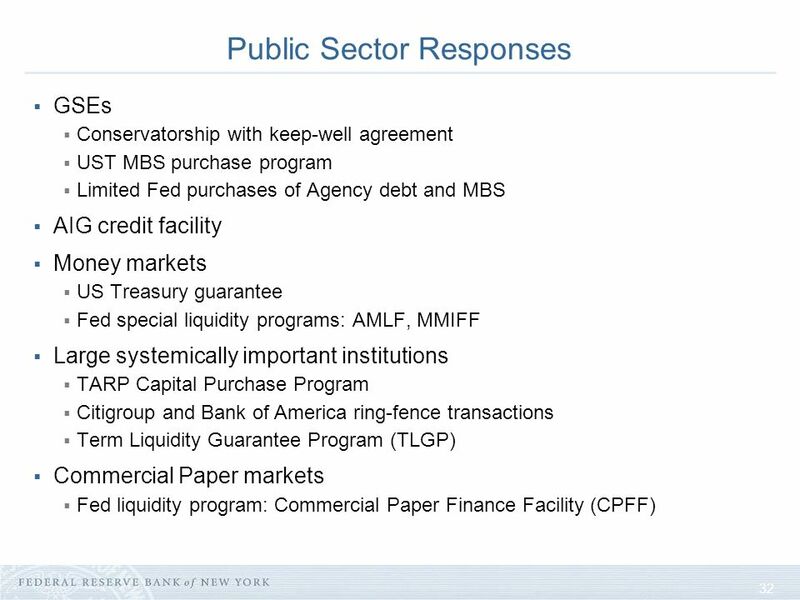 Feds goal was to foster access to credit by businesses and individuals to met critical needs and keep the economy moving during a very critical period. 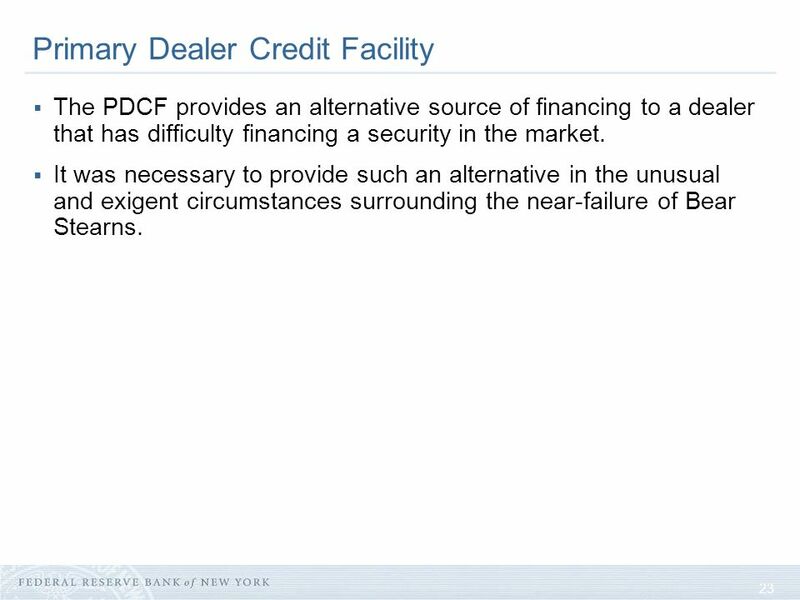 23 23 Primary Dealer Credit Facility The PDCF provides an alternative source of financing to a dealer that has difficulty financing a security in the market. 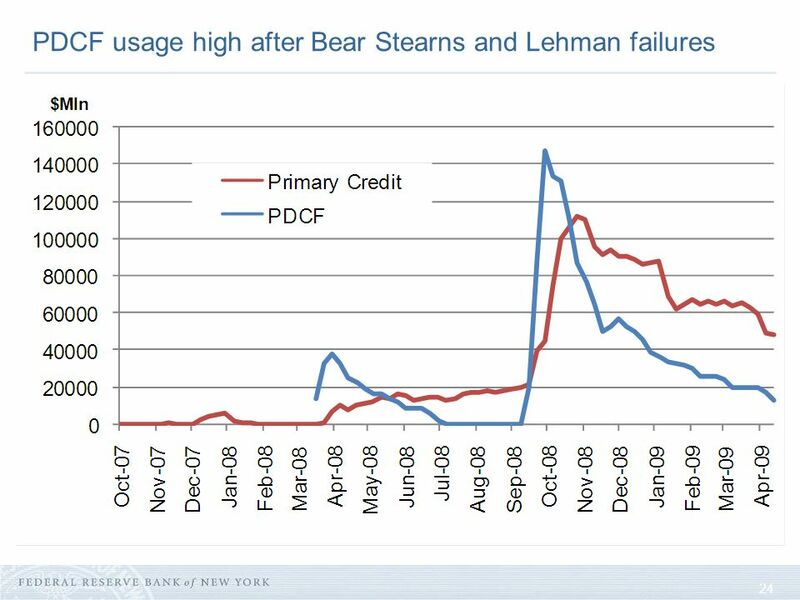 It was necessary to provide such an alternative in the unusual and exigent circumstances surrounding the near-failure of Bear Stearns. 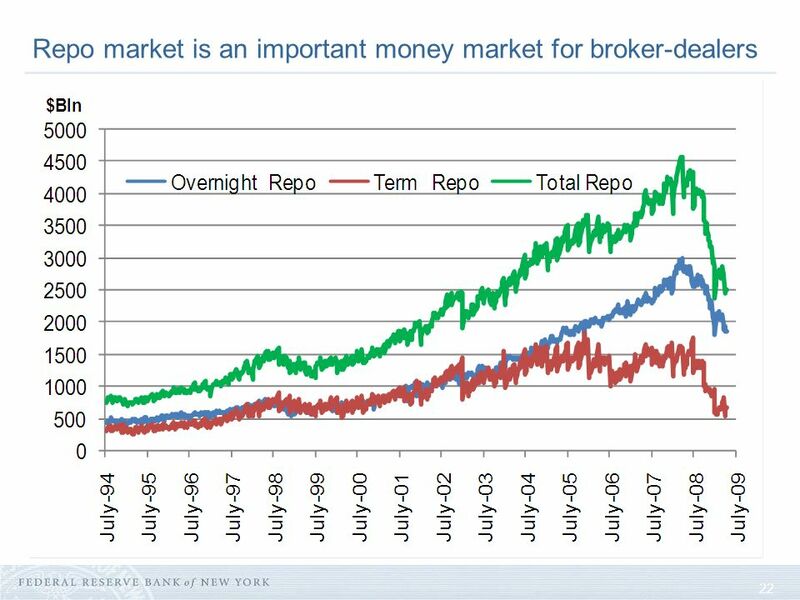 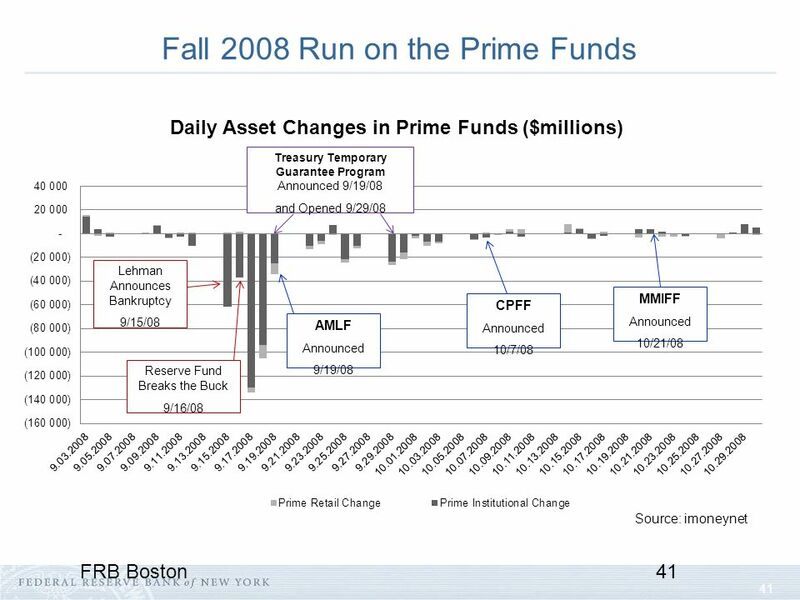 36 36 Money Funds: The Problem The Reserve Primary Fund, a Money Market Mutual Fund (MMMF) breaks the buck on September 16, 2008. 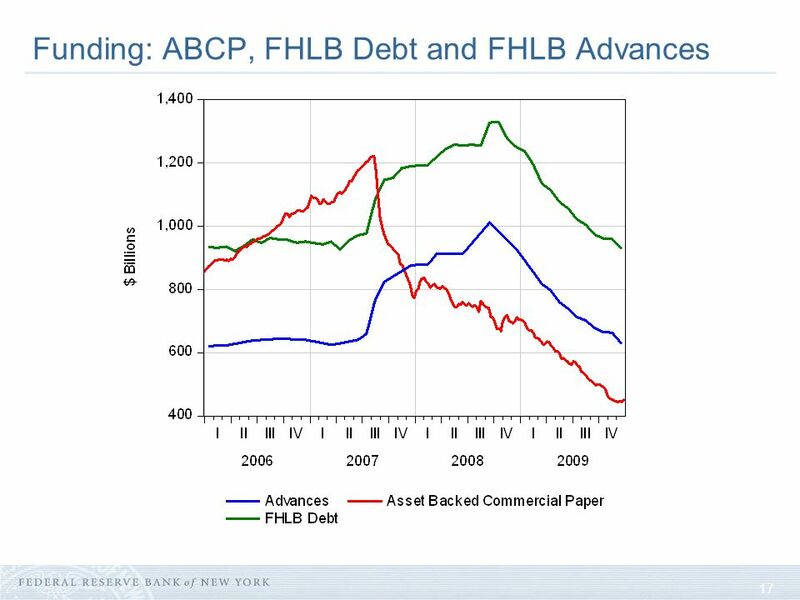 Heavy redemptions are related to investor concern about $785MM in holdings of Lehman Brothers commercial paper. 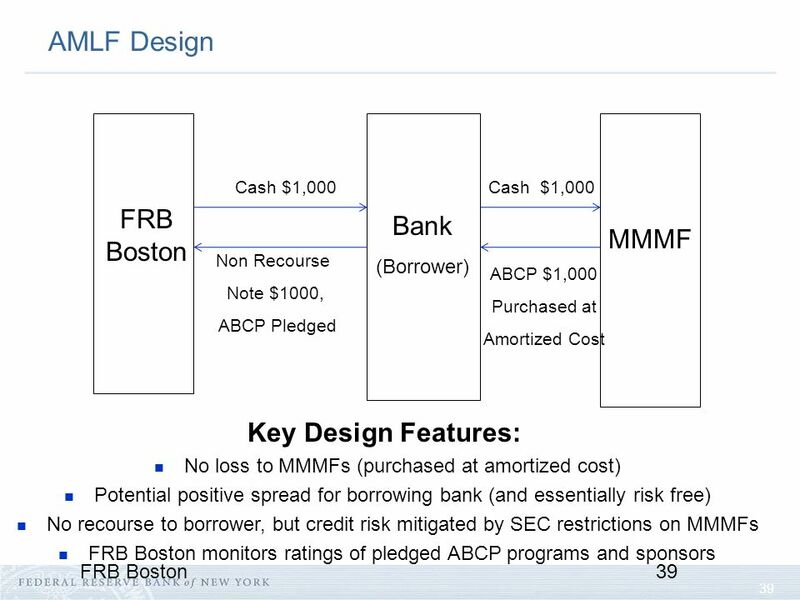 A run on other MMMFs is created. Redemptions for the week ending September 23, 2008 are $120.5 billion. 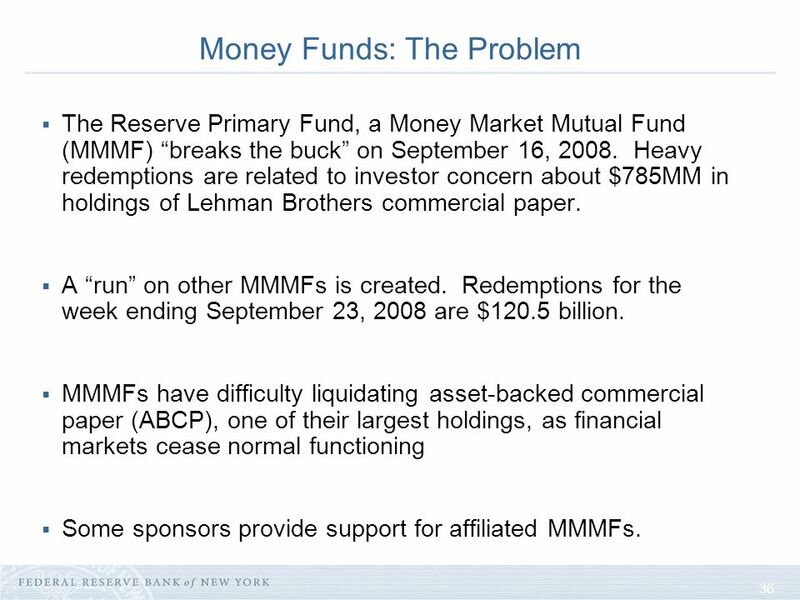 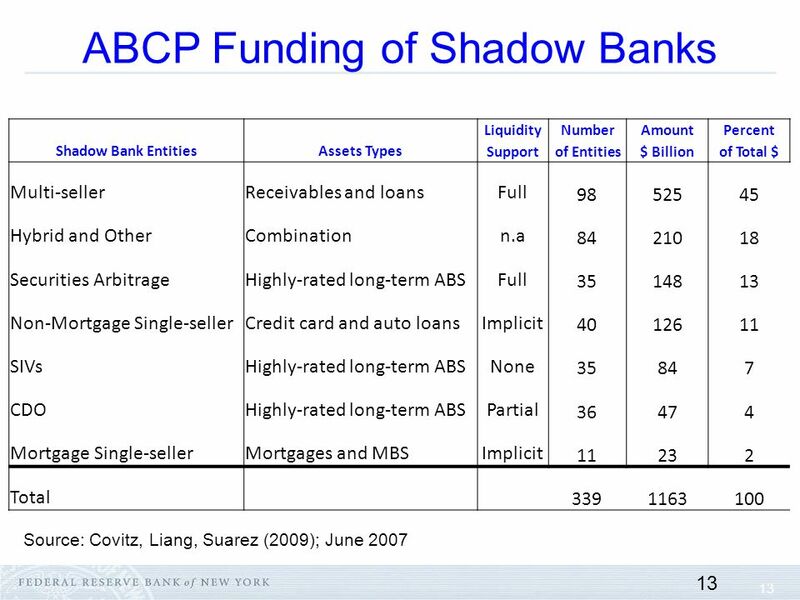 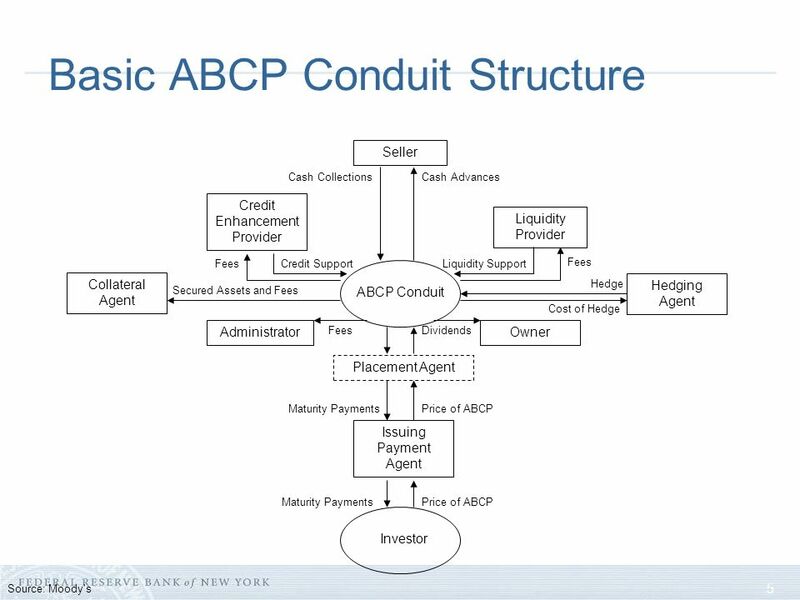 MMMFs have difficulty liquidating asset-backed commercial paper (ABCP), one of their largest holdings, as financial markets cease normal functioning Some sponsors provide support for affiliated MMMFs. 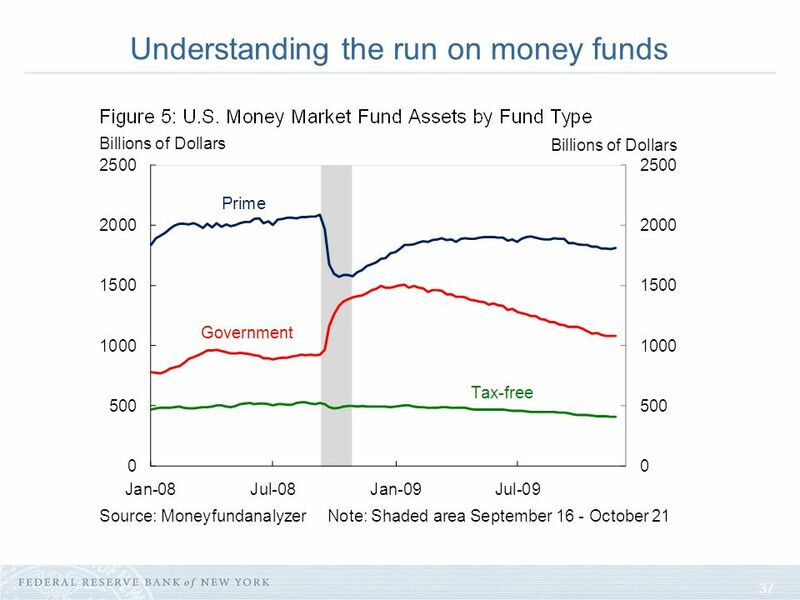 38 38 Money Funds: Solutions The U.S. Treasury Department opened its Temporary Guarantee Program for Money Market Funds on September 29, 2008, which covers share balances as of September 19, 2008. 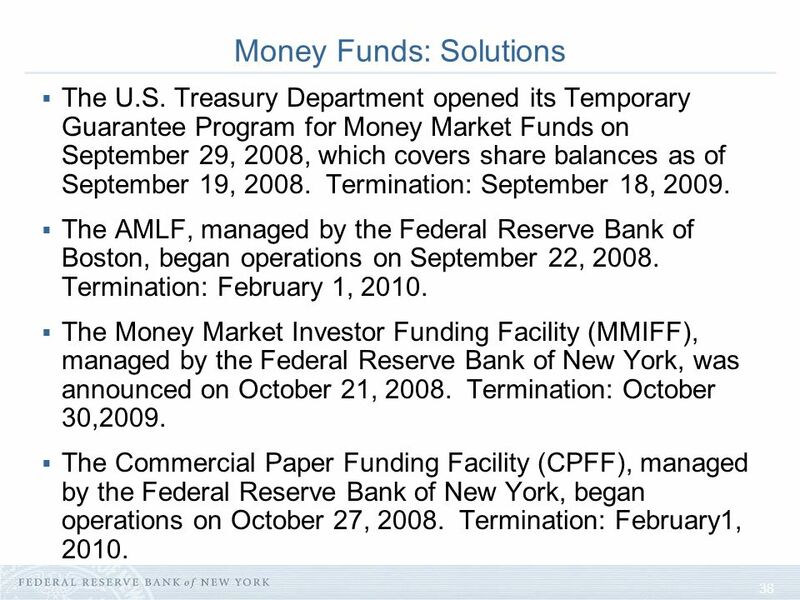 Termination: September 18, 2009. 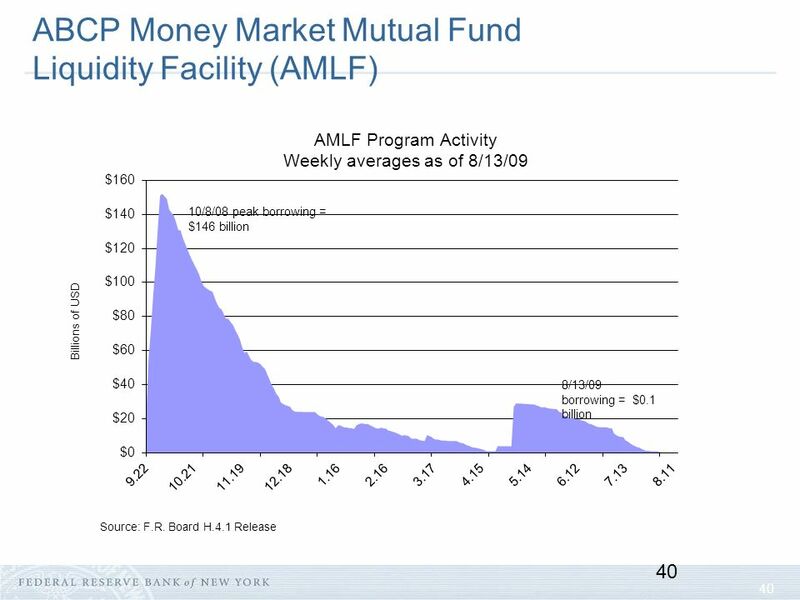 The AMLF, managed by the Federal Reserve Bank of Boston, began operations on September 22, 2008. 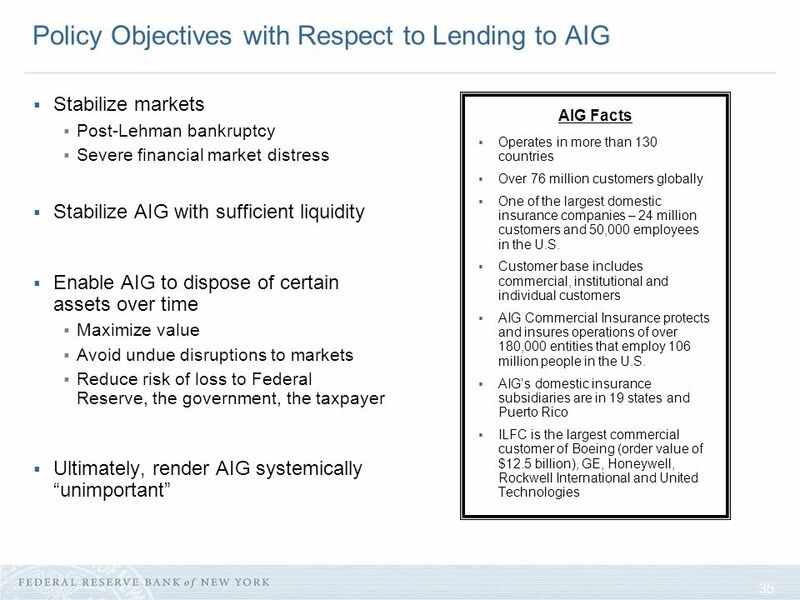 Termination: February 1, 2010. 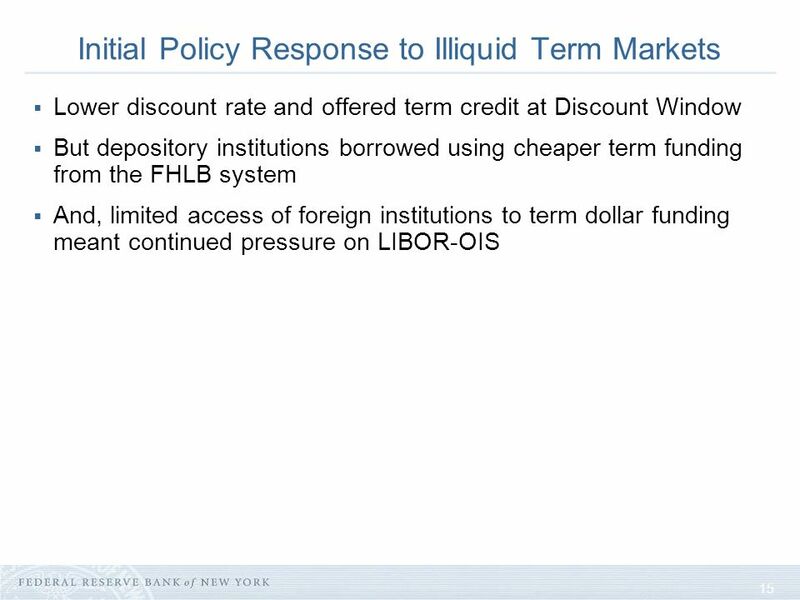 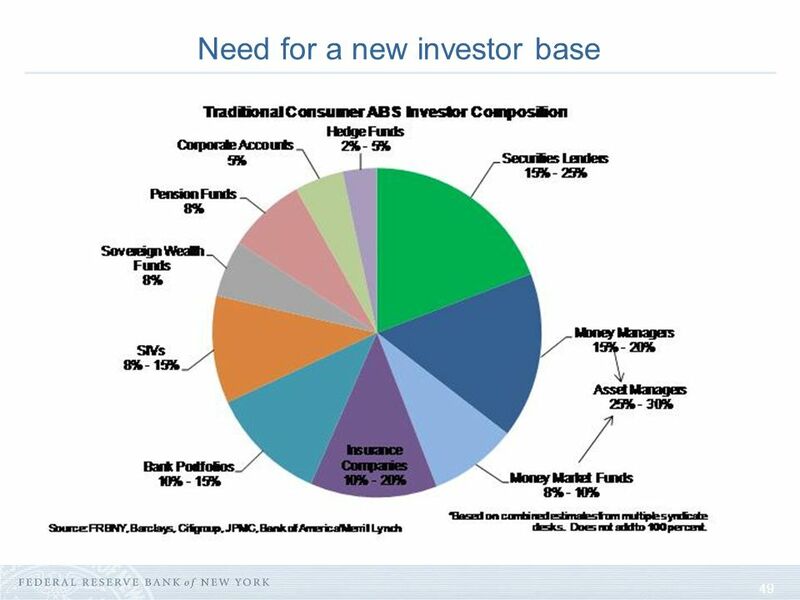 The Money Market Investor Funding Facility (MMIFF), managed by the Federal Reserve Bank of New York, was announced on October 21, 2008. 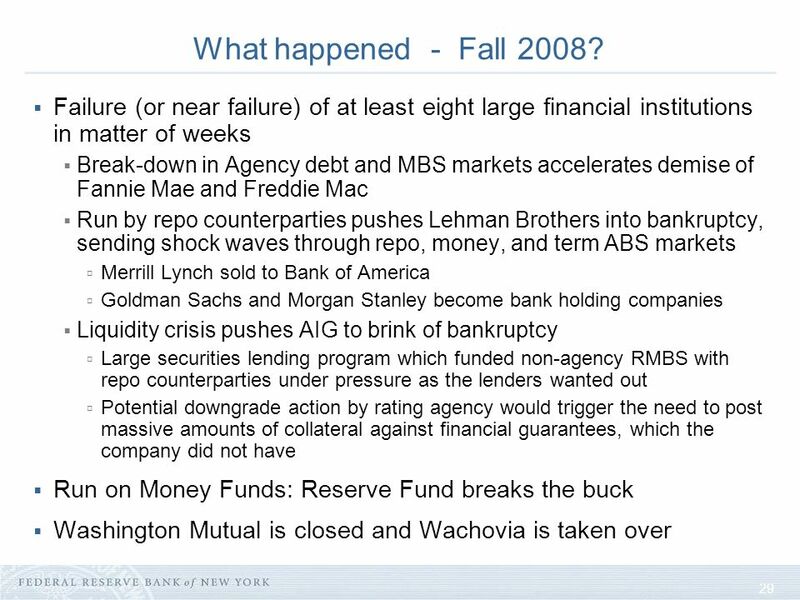 Termination: October 30,2009. 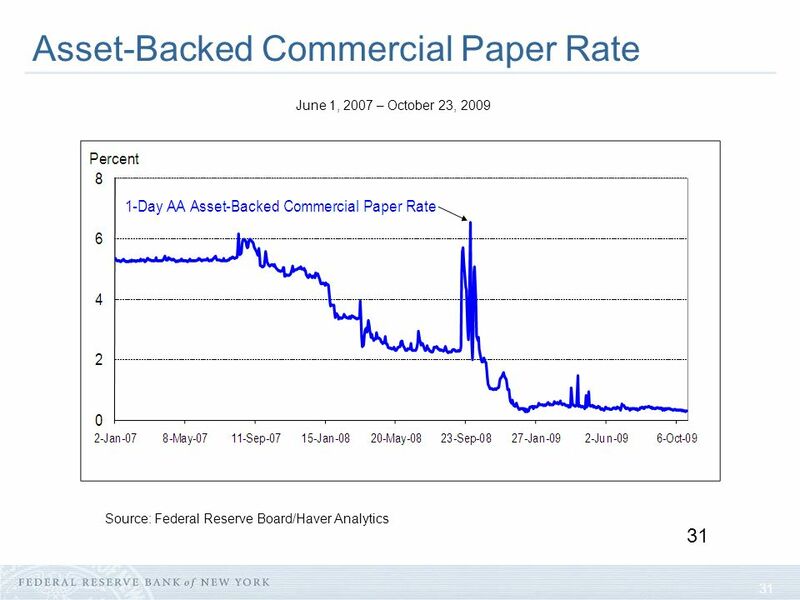 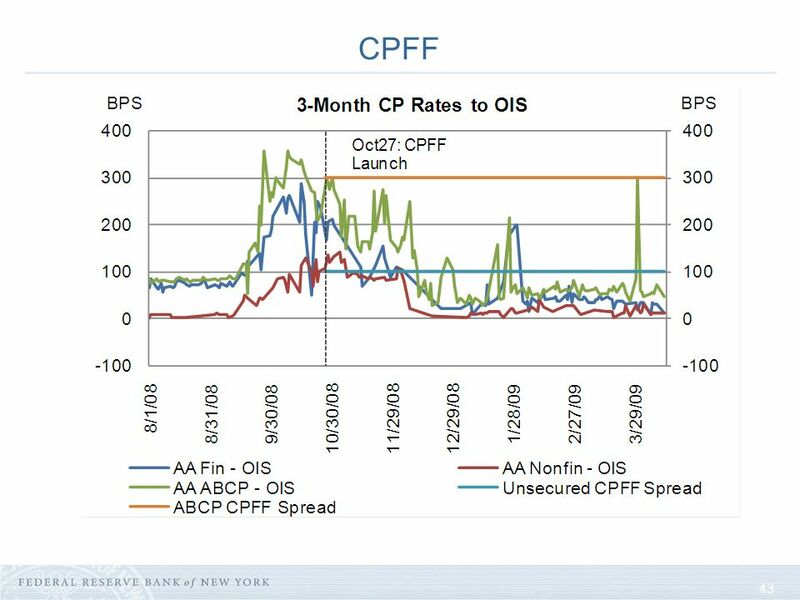 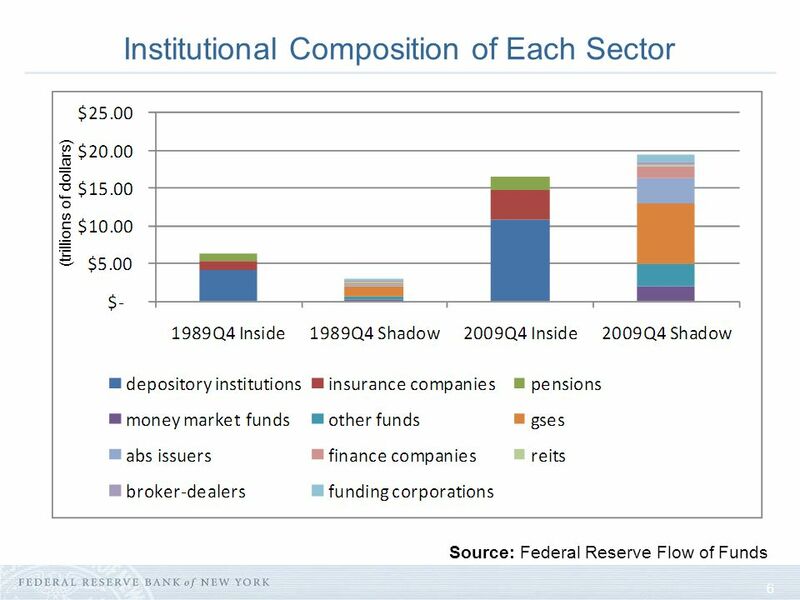 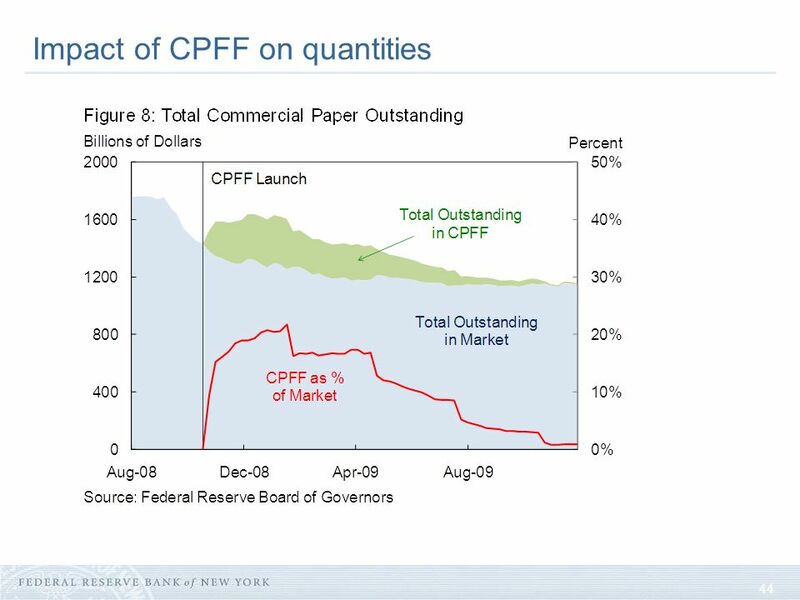 The Commercial Paper Funding Facility (CPFF), managed by the Federal Reserve Bank of New York, began operations on October 27, 2008. 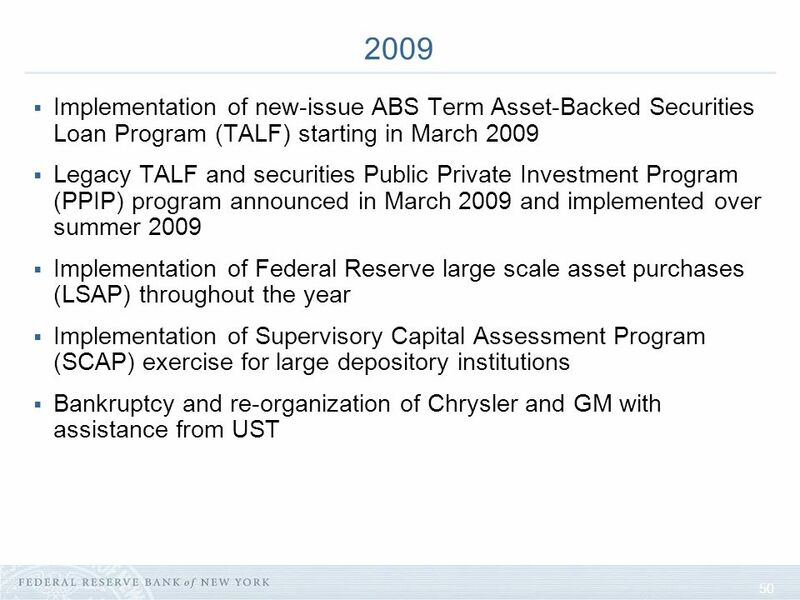 Termination: February1, 2010. 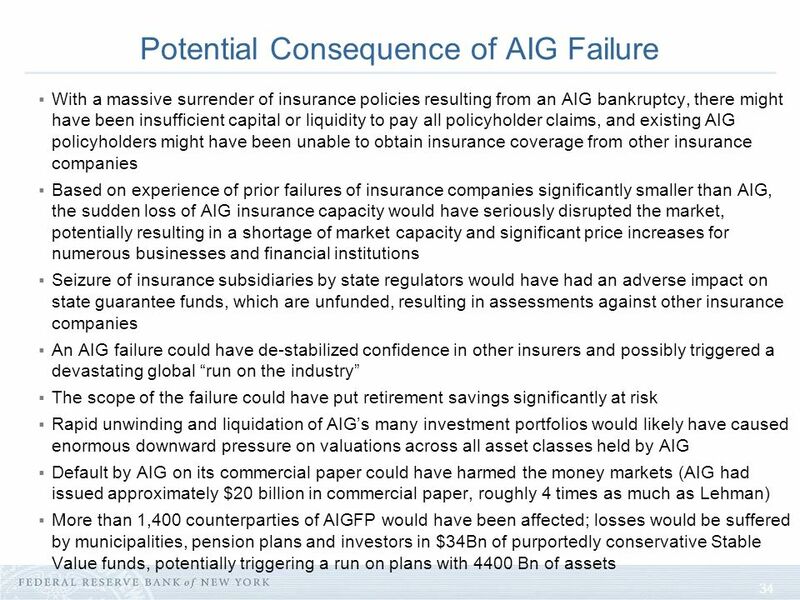 58 58 Summary All of Feds actions were directed at protecting the American people from a more severe downturn. 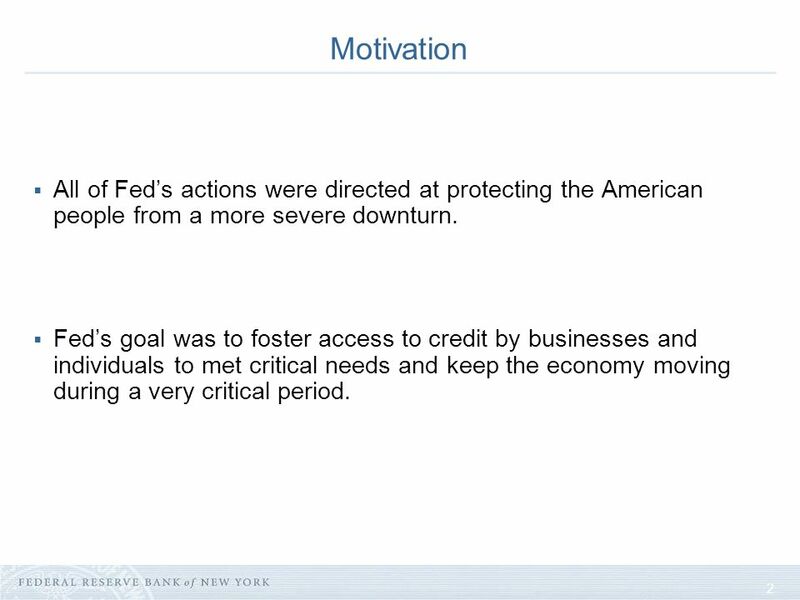 Feds goal was to foster access to credit by businesses and individuals to met critical needs and keep the economy moving during a very critical period. 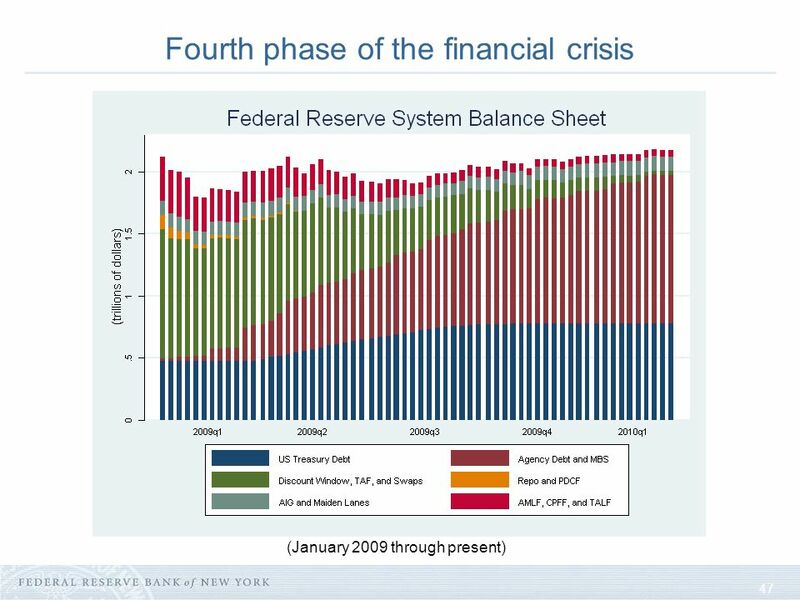 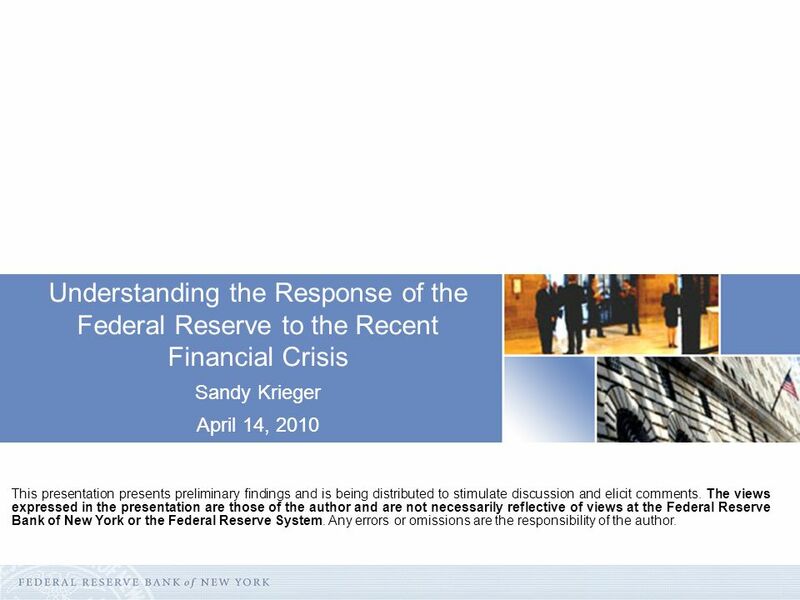 Download ppt "Understanding the Response of the Federal Reserve to the Recent Financial Crisis Sandy Krieger April 14, 2010 This presentation presents preliminary findings." 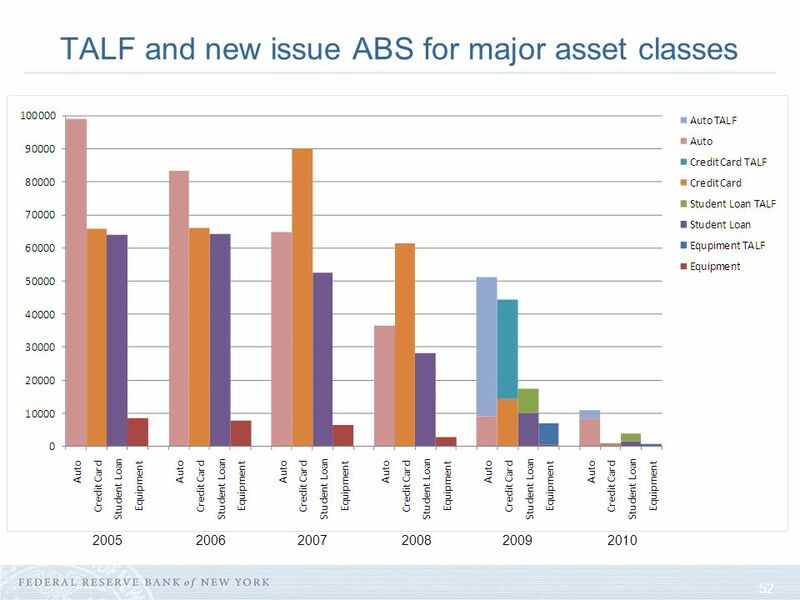 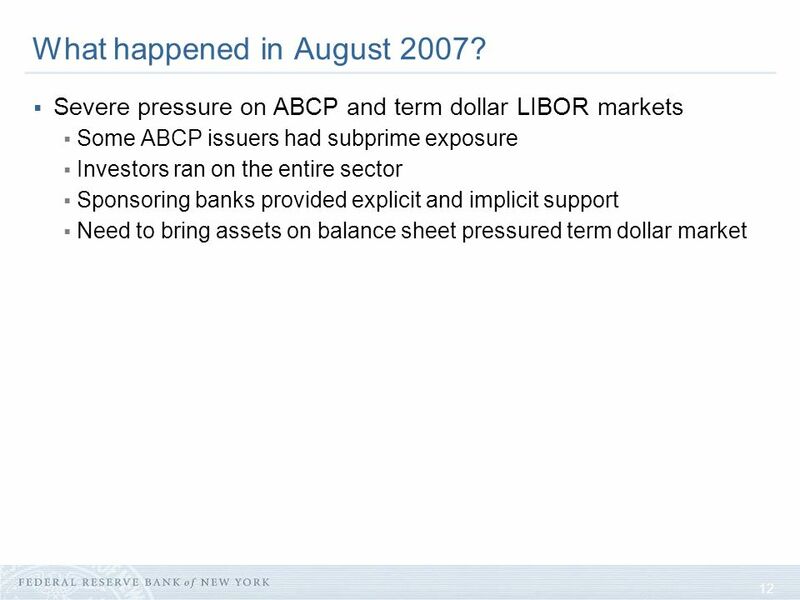 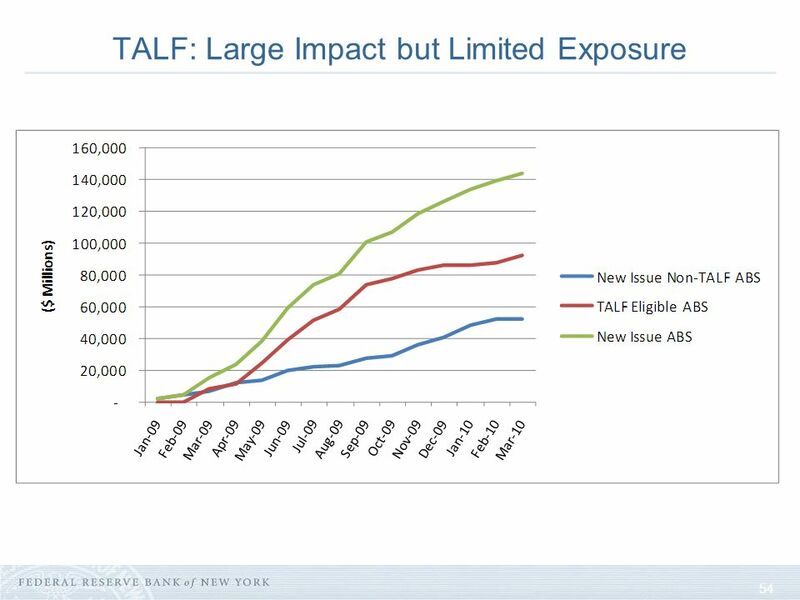 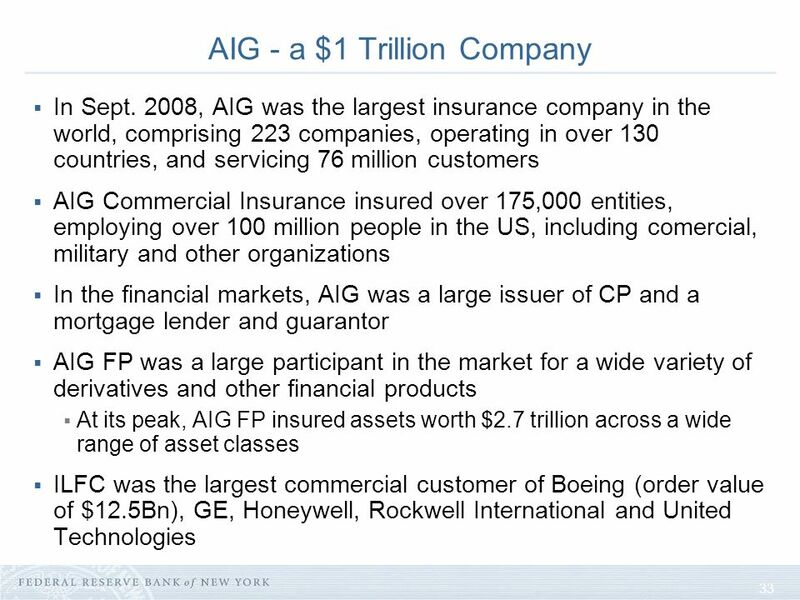 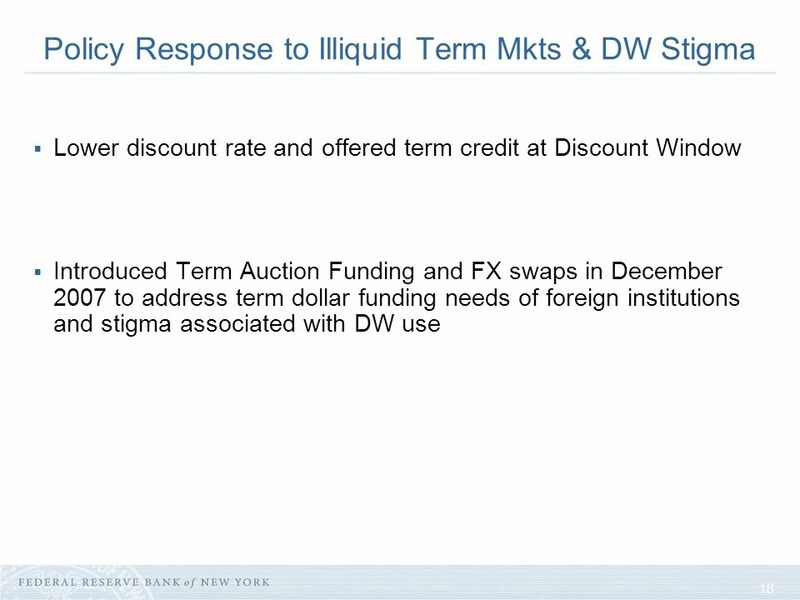 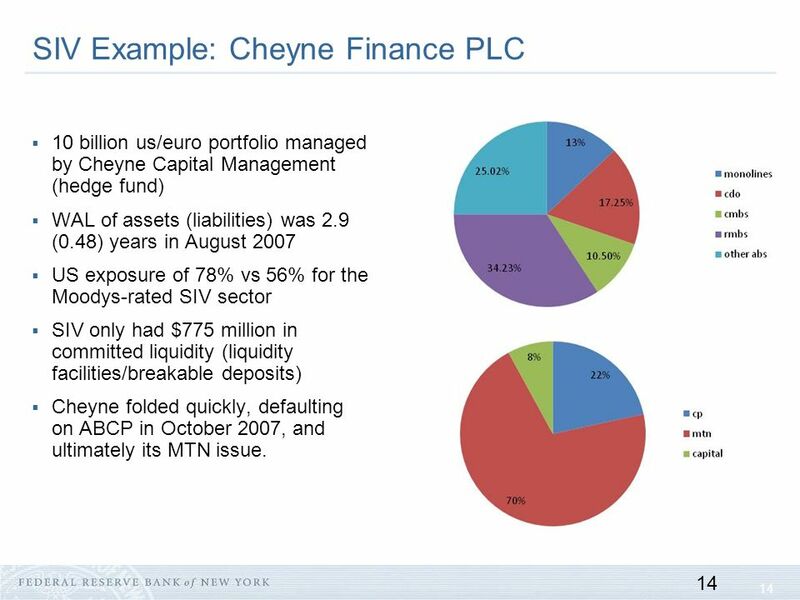 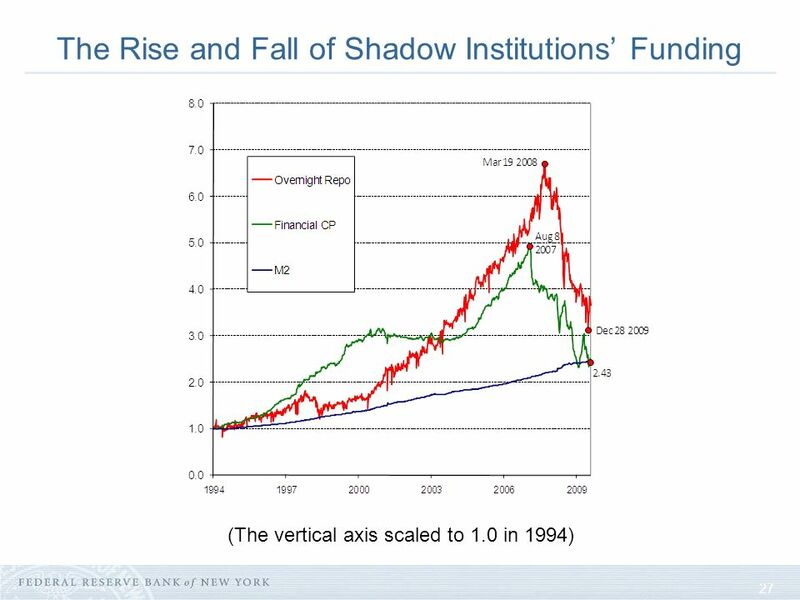 1 Financial Crisis and the Global Fund’s Investments Presentation to the Global Fund Board November 7, 2008 Trustee, World Bank V.1.